A Dark-eyed Junco eats a sunflower seedsthe day following a snow storm in New England, Jan. 2016. My last posting on this site highlighted the plumage of a Dark-eyed Junco. 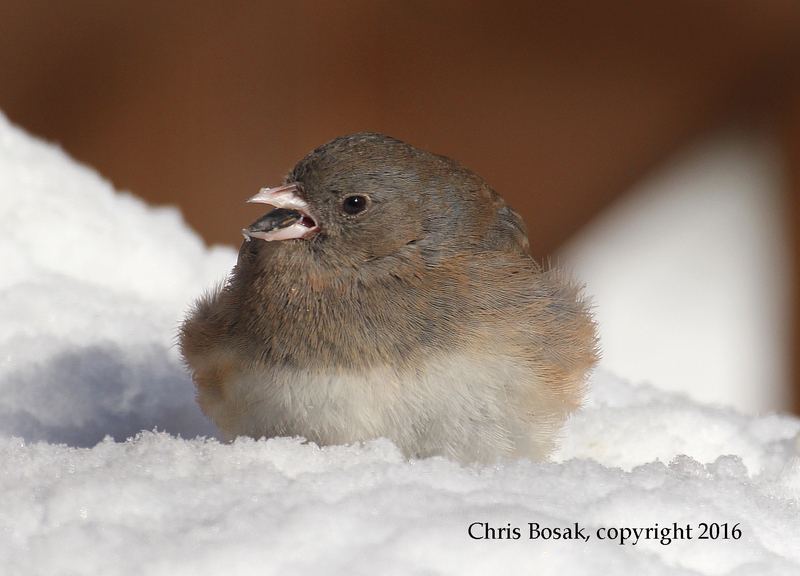 But why stop at just one photo of a junco in the snow? I can’t think of a reason, so here’s a few more. Juncos mainly show up at our feeders in the winter, so we may as well enjoy these small sparrows while we can. The ones with darker plumage are adult males; the ones with lighter plumage are females or first-year males. 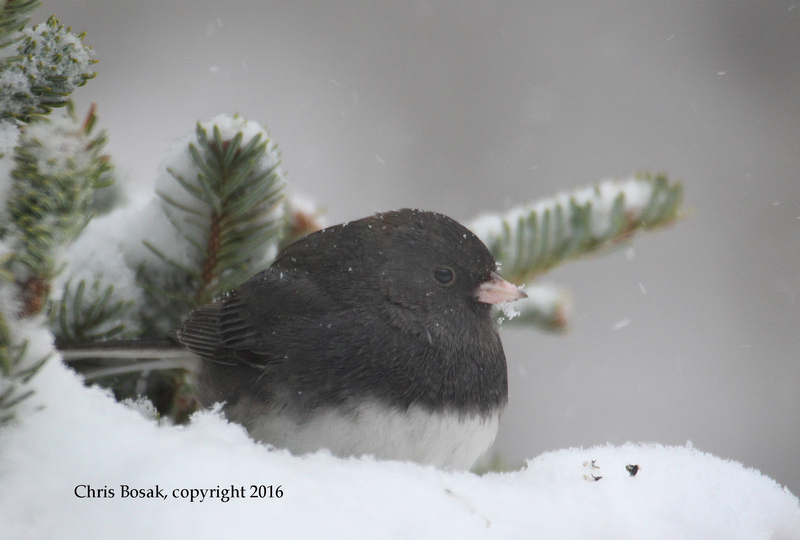 A Dark-eyed Junco looks for seeds during a snow storm in New England, Jan. 2016. 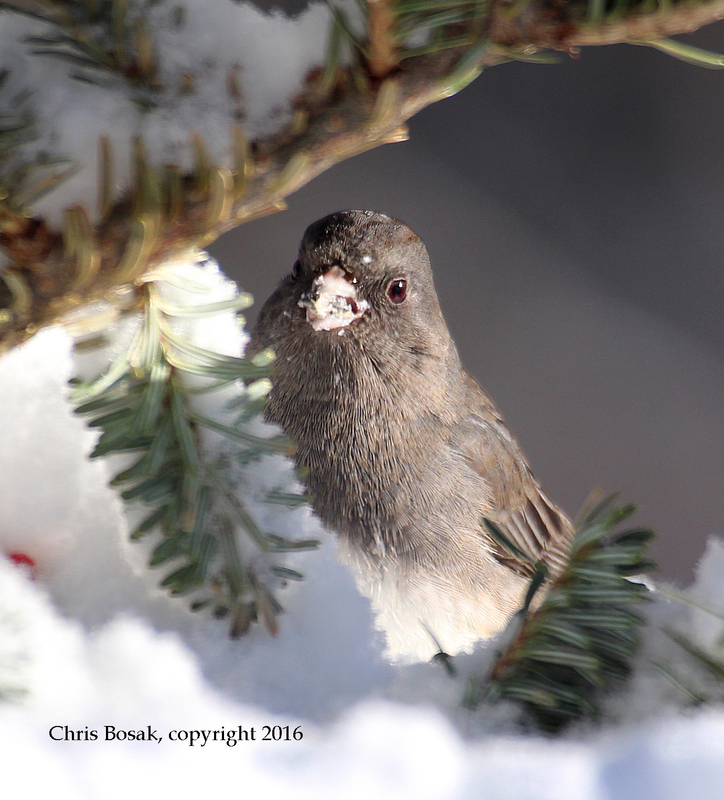 A Dark-eyed Junco looks for seeds the day following a snow storm in New England, Jan. 2016. 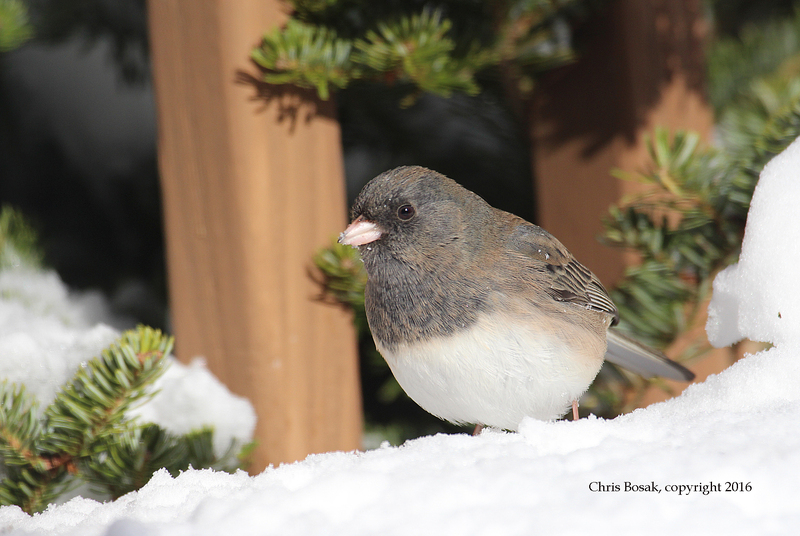 This entry was posted in backyard birding, Birds in snow and tagged Dark-eyed Junco, Dark-eyed Junco in snow by Chris Bosak. Bookmark the permalink.